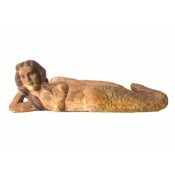 This life size mermaid is a hand-carved of wood, covered in a painted gesso coating. 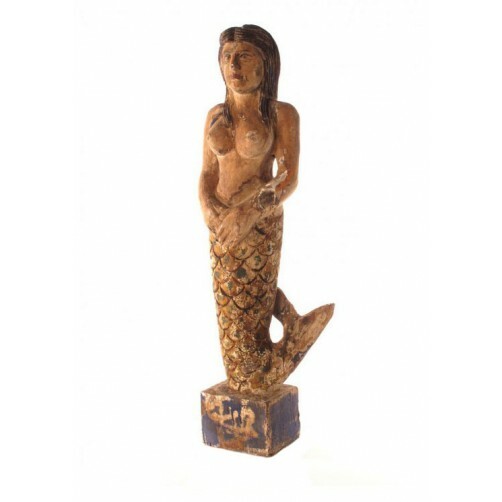 The mermaids can vary greatly in color and wear. 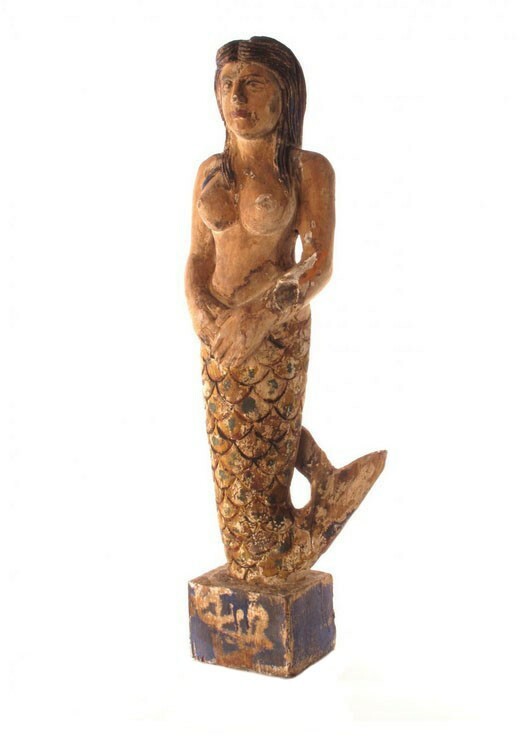 All mermaids are made by hand, so each one is completely unique. Please understand that they won’t be perfect, but that’s part of the charm! Ships via: Standard Freight Delivery. For this item, freight delivery cost is 10% of the product price.